VioClean has provided cleaning and restoration services to thousands of Boston Water Damage residential and commercial customers. We are your one-stop cleaning company with 24 hour emergency service! We have the resources to provide multiple cleaning services and determine the best alternatives to meet your needs. VioClean provides 100% green non-toxic technology using the most advanced solutions for eliminating odors, decontaminating surfaces and purifying the air. 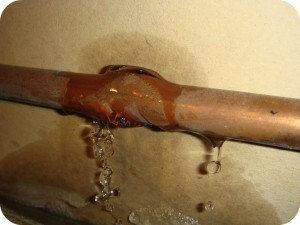 We know how important a quick response time is when water damage has occurred. Therefore, we always have an Emergency Response Team available for water damage Boston MA that is on call 24 hours a day – 7 days a week. We’re there when you need emergency water damage help. OUR TECHNICIANS HAVE BEEN TRAINED, TESTED, AND CERTIFIED BY THE INSTITUTE OF CLEANING AND RESTORATION TO KNOW HOW TO CLEAN, DRY, AND RESTORE YOUR HOME PROPERLY BY FOLLOWING INDUSTRY STANDARDS AND GUIDELINES. We are trained to recognize whether contamination may be present, and clean according to industry standards. We flush contaminated areas with steam heated above 200° and spray a botanical antimicrobial agent to reduce odors and kill microorganisms. Our process is completely safe and chemical free there is no need to leave the home because of hazardous chemical sprays. A certified and trained technician uses moisture detection equipment to determine what is wet and how wet, and document where it is wet by mapping out the affected areas and contents. Relative humidity and moisture levels in the air and contents of your home will also be documented. We will protect and move affected contents to a safe environment to prevent secondary damage to these items. You may not realize that excessive humidity can cause moisture to travel into dry areas in your home. Not only can this broaden the scope of work, but it can damage your furniture, pictures, and other valuable items. We maintain a large inventory of clean specialty drying equipment! Not only will we install specialty drying equipment, but we will remove non-restorable materials such as drywall, insulation, baseboards, linoleum, etc. to increase the rate of drying. A certified and trained estimator will inspect your home regularly to ensure that your home is drying as quickly as possible. In addition, the scope of work, relative humidity of the air, moisture content levels, and overall drying progress will be documented. Digital pictures are taken to evidence the affected areas, structural damage, and damaged contents, if applicable. Basement water damage is extremely common in the Boston area, since most basements will sustain broken pipes, improper grading or window installation, sump pump failure, or leaking from foundation walls. 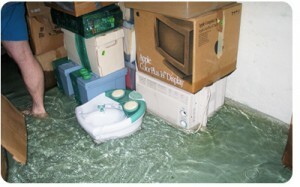 Basement flooding can be a very serious matter. If its been more than 48 hours there will probably be wet drywall, flooring and carpets will likely have to be replaced. It’s important to have a professional water damage company who understands how to perform complete water cleanup and structural drying come and take care of the basement flood damage as soon as possible before more damage occurs. Servicing all of Boston MA, including 02108, 02109, 02110, 02111, 02113, 02114, 02115, 02116, 02118, 02119, 02120, 02121, 02122, 02124, 02125, 02126, 02127, 02128, 02129, 02130, 02131, 02132, 02134, 02135, 02136, 02151, 02152, 02163, 02199, 02203, 02210, 02215, 02467. 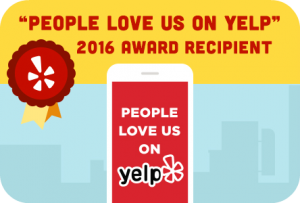 We also provide services to areas such as Roslindale MA and Chelsea MA. View our Service Area to see all the areas we help with water damage.